Stain/Glaze sample kits are available in the following pre-packaged kits below. These are the most popular combinations in production. 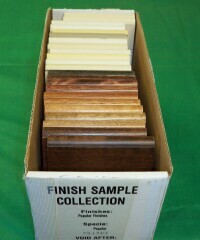 Individual samples are also available. Lead time for sets is approximately 2-3 work days.